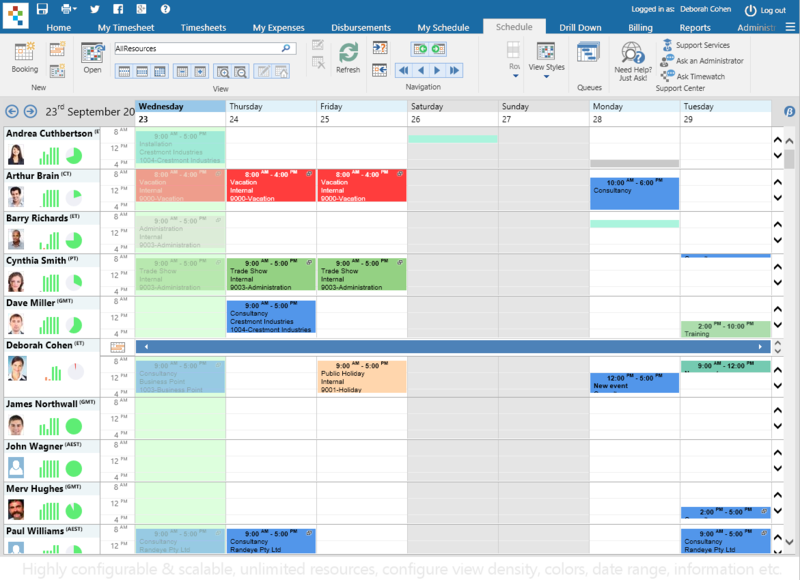 Organization wide Resource Scheduling Views. 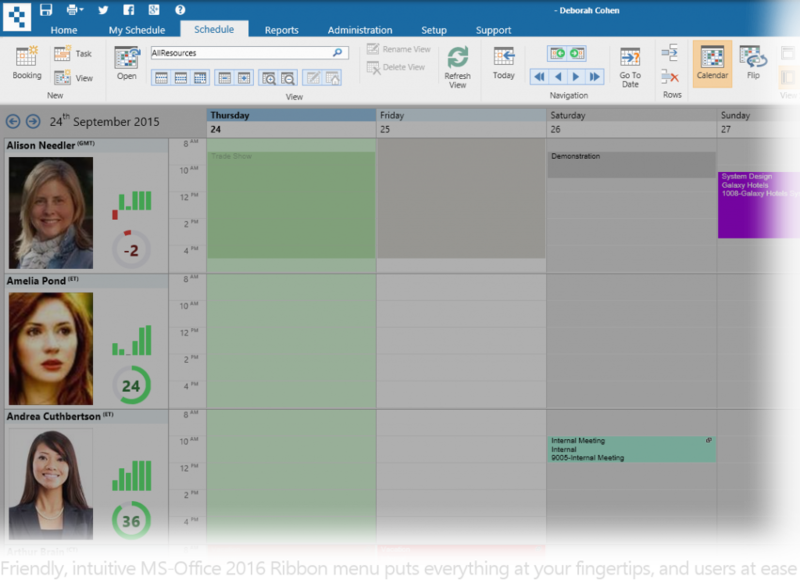 High visibility, high performance, highly scalable resource scheduling solution with seamless integration with Outlook and Google calendars. Schedulers can view multiple resources side by side. 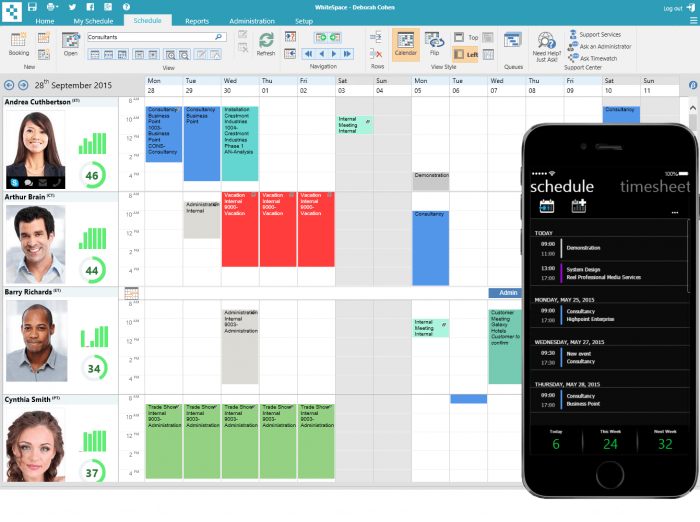 Definable color-coded booking types shows who is doing what and when, the resource dashboard shows current and future availability. Intuitive, user friendly resource scheduling and employee scheduling software from Timewatch. Supports PCs, Macs, phones, tablets. 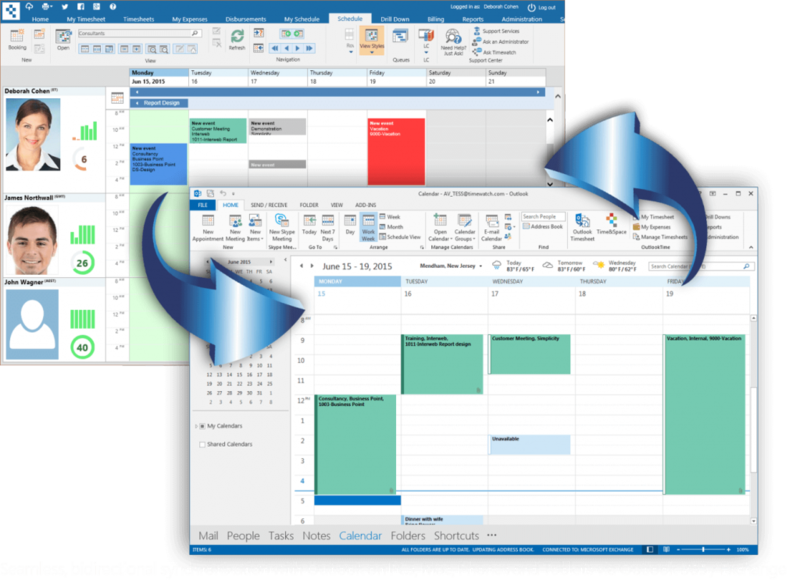 Supports bi-directional sync with Outlook and Outlook 365. Schedule any type of resource. For example, people, employees equipment and rooms. Training courses, consultants, engineers can also be scheduled. Users can view schedules from their iPhone, Android or Windows Phone or tablet. 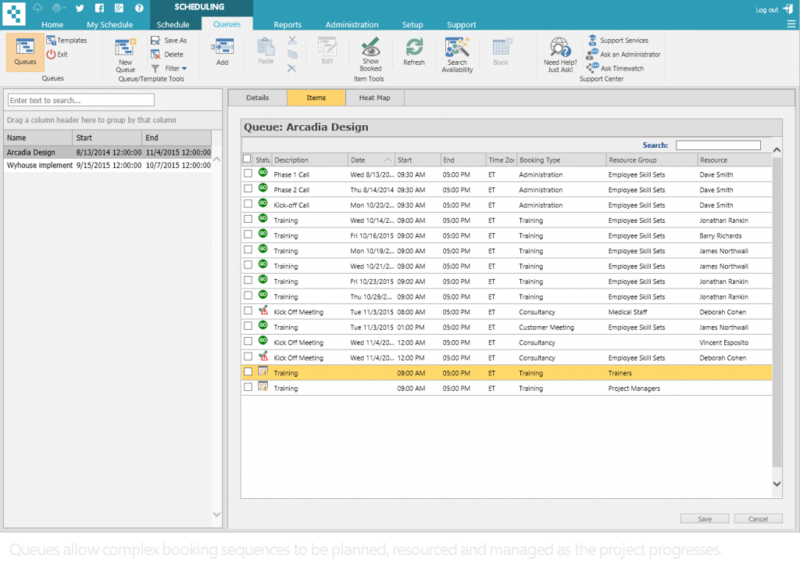 Free resource scheduling evaluations and test drives available.